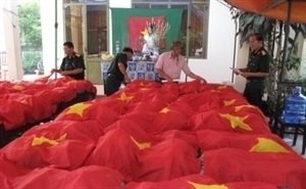 Over 5,100 sets of remains of Vietnamese voluntary soldiers and experts have been repatriated from Cambodia during the 2001-2011 period. The figure was released at a meeting in Phnom Penh on March 12 to review 10 years of the search for remains of fallen Vietnamese voluntary soldiers and experts who laid down their lives during the war in Cambodia. 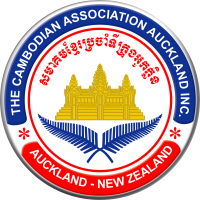 During the 10-year period, search teams have completed a large volume of work thanks to their active cooperation and coordination with Cambodian localities under an agreement signed between the Vietnamese and Cambodian governments on August 28, 2000. Vietnam’s Military Zone 9 said it is in charge of searching for the remains of some 8,500 fallen Vietnamese soldiers in 10 Cambodian provinces. In 2011, the zone will continue the work, especially in such provinces as Kandal, Kampong Chhnang and Kampong Cham. Between 2012 and 2015, the zone’s search teams will search and gather remains of Vietnamese martyrs in all remaining areas.